A few years ago cosplay was just a fun hobby for a small group of people. Today, it has become a huge community of passionate and creative artists, spread all over the world. I guess you might even call it an industry. While we spray painted our hair and built our costumes out of cardboard and cheap fabrics in the past, today there are entire companies specialized in creating and selling products catered especially to cosplayers. You can buy styled wigs, fancy crafting materials, flexible paints, prescription colored contact lenses – heck even full custom tailored costumes and props on eBay. And while it’s still all about having fun for us (read my blog post here), cosplayers have become very attractive to companies. And not only as customers! Those with a big following on Social Media have turned into spokes persons, opinion builders and influencers – people who are extremely valuable for online marketers. However, while Youtube celebrities, pro gamers on Twitch and Instagram models found ways to make a living with their passions, cosplayers still struggle to even ask for any kind of compensation for their promotional work. Why is that? I already wrote a post about a similar topic in the past, >The Value of Cosplay Guests<, where I talked about why cosplayers are an enrichment for every convention and are able to promote and improve events like no other. This time though I want to talk about how the cosplay community is getting more and more interesting to business owners and companies. I thought it would be helpful to give you an insight of how the industry thinks. At the end of the day, providing a service to a company is not that different from being a guest at an event and should also be compensated as such. As a cosplayer you’ve surely already experienced this: You discover a new material or product in some progress picture on FB or a video on YouTube. You like what you see and decide to buy the same product as well. Let me give you and example. A few years ago I tried out a new crafting material to create one of my very first full armor sets, the Barbarian from Diablo III. I was having some issues with the product I was working with until then, so someone told me about Worbla and I decided to give it a go. 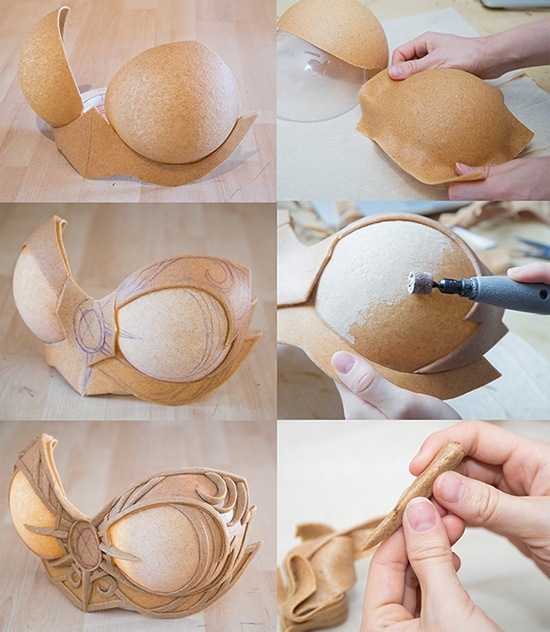 Back then Worbla was only available in Germany and not really known in the cosplay world. As you might know, I’m a passionate crafter and love sharing my progress photos. So after finishing the Barbarian I become a huge fan of Worbla and for several months at least 50% of my posts included it on some way. Other members of the community saw my posts, became curious and wanted to try it out as well. The distributor of Worbla, cast4art, got hundreds if not thousands of emails, over time set up a worldwide net of resellers and all this led to you seeing so many Worbla armors at conventions today. Since then it has turned into an extremely popular crafting product and I dare to say that I’m one of the main reasons for it’s incredible success. As you might guess, this marketing strategy doesn’t only work for books or crafting materials. These days I’m getting contacted by companies to try out new materials, tools, wigs, contact lenses, full tailored costumes or I’m asked to build props and armor sets from and for games, movies or comics. Same happens to my friends and many other members in the cosplay community. Social Media marketing is incredibly successful and companies naturally want to get mentioned by people with a wide reach and a big audience. These people are not only able to influence their fans, but can create positive opinions about a brand and even increase the demand for a product. Especially influencers in the cosplay community have a good reputation, are trusted by their fanbase and have a direct connection to a wide group of people. Their Social Media channels are the perfect playground for promotional campaigns. Without these influencers, businesses have to spend a huge budget to get the same reach on their own channels. In fact the company I worked for before I decided to become self-employed was an agency who was specialized in creating interesting Social Media content for companies. Naturally their costumers weren’t wig or contact lens manufacturers from China, but they weren’t that different either. Experiencing how much time and effort was spent to create one single post, which was discussed several times a day by a group of people and then boosted with hundreds of dollars, was quite eye opening. Companies struggle to keep Facebook interactions on a satisfying level, they fight for every like, comment and share and get frustrated when their reach gets artificially limited by Facebook (just like we do, right?). They spend hundreds and thousands of dollars just to make the page of some energy drink hit 10k likes while many cosplayers get the same number with just a few cool costumes, interesting progress pictures or selfies. I hope this helps you to understand that hiring a big influencer with a huge reach and trusting fanbase is easily the better, cheaper and more effective promotion strategy. 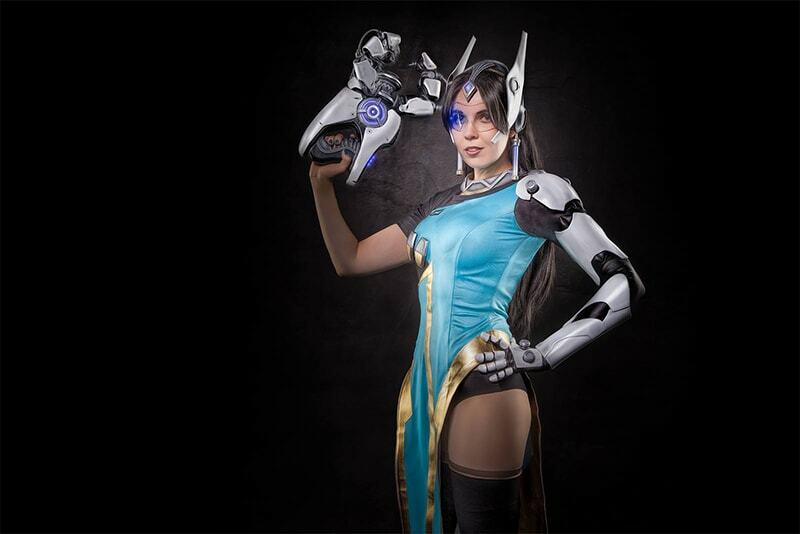 While sponsoring gigs are already a standard for many famous people on YouTube, Instagram, Twitch and Facebook, the cosplay community seams to work differently though. Many cosplayers simply don’t dare to ask for compensation. They’re afraid to get turned down and lose ‚the opportunity‘. They might miss the jumpstart for turning their hobby into a job. ‚If I ask for money, they will simply go and find someone else who does it for free!‘ is what I hear. Well. They are not wrong. Especially companies for contact lenses, wigs and costumes contact an insane amount of cosplayers, ask them for a service but don’t want to compensate them. They will always find somebody who does all this for a free product. Instead of offering compensation they are even starting to ask for more: more posts, longer reviews, videos and even full photoshoots with their products. www.socialbluebook.com is a website that takes your audience and reach into account (works for every Social Media platform) and estimates the worth of your posts. I would personally say that the prices it generates are still set far too high, but if nothing else it should give you a feeling that your work and reach shouldn’t be free. I don’t want to be a negative Nancy but it hurts me to see so many amazing artists sell themselves so short. A cosplayer is not just a promoter, s/he a costume designer and fabricator, an entertainer, a model, an influencer, a photographer, a reporter and a honest to god brand spokes person and should simply be compensated for that. I know I myself got lucky. My very first ‚cosplay job’ was for Cryptozoic Entertainment and the World of Warcraft Trading Card Game. I had somebody (thanks JoJo!) who set up a contract for me and made sure I got a fair payment to create the costume and for wearing it at all events. I got hired as a costume designer as well as a promotional model, however I didn’t got any extra for my Social Media posts. I did those because I wanted to, so it was fine. Despite of that Cryptozoic still noticed the value of my posts and hired Benni as their official photographer for their Social Media channels later. This way I was able to upload more professional photos, players got nice profile pics for their Facebook accounts and Cryptozoic got a good looking live coverage of every event. As I mentioned, I worked as a costume fabricator and as a model and got compensated for both jobs separately. I know that working for a big name company (especially one you admire) is a huge honor, but it’s only fair to ask for a proper compensation. I also know turning down jobs like these hurts deep inside but as they say: no pain, no gain! If you ever want get treated seriously, you’re going to have to act professional yourself. A few years back costumes were made by costume fabrication studios and were worn by hired models. Commercial agencies worked on promotional campaigns and big budgets were set aside to place adds. These people got a fair payment (at least I hope they did), which covered their work time, the spent resources and even taxes and insurance. So why shouldn’t you handle it differently? Aside of combining all these skills, a cosplayer is one of the best brand spokespersons a company could wish for. They already know and love a company’s products. They know everything about a video game, movie or crafting material, they’re passionate and motivated to work and are able to promote a brand better than any ad campaign. It’s great combination, if you think about it! And my final words? Even if I only talked business here, don’t forget that cosplay should be about having fun first and foremost. But once you are asked to spend your free time and work for someone else – provide a service – you should ask to be payed. Just because it’s fun for you, doesn’t mean it has no real value. Everybody has to live. A Cinderella performer at Disney Land surely loves her work as well and she still gets her check every month. Just like everybody else.